Kevin Wanklyn worked 8 and a half years at a small start-up company that specialized in novel acoustic microcavitation technology. At the company, Dr. Wanklyn was responsible for all aspects of experiment design, development, data collection, analysis and presentation as the company focused on turning their research based studies into a marketable product for industry. Wanklyn’s teaching focus is the subject area of fluid and thermal sciences. In addition, he is the adviser to Powercat Motorsports, a Society of Automotive Engineers student team that designs and builds a small scale Formula racecar from the ground up every year. Dr. Wanklyn has earned several teaching awards, including the 2014 Presidential Award for Excellence in Undergraduate Teaching, the 2014 James L. Hollis Memorial Award for Excellence in Undergraduate Teaching, the 2015 American Society of Engineering Education Midwest Section Outstanding Teaching Award, and the 2016 Commerce Bank and William T. Kemper Foundation Outstanding Teaching Award. 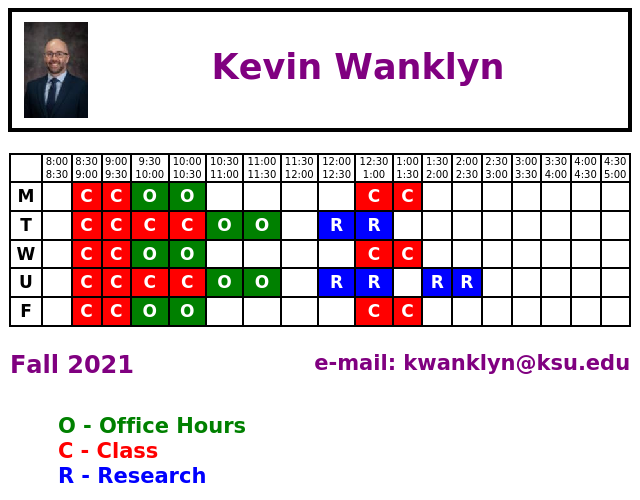 Dr. Wanklyn is a member of the American Society of Engineering Education (ASEE), American Society of Mechanical Engineers (ASME), Tau Beta Pi – National Engineering Honorary, and Pi Tau Sigma – Mechanical Engineering Honorary.